e-Chat is the world's first multitask messenger built with decentralized technology. The beta version is available for download and tested on the App Store and Google Play now. you will easily get the e-chat app on your handpone. Of course, the expectations of e-chat are some possible imperfections in the current system at the moment, all of which will be discussed in the future. The purpose of e-chat itself is to create a communication methodology that does not depend on online servers or government decisions. 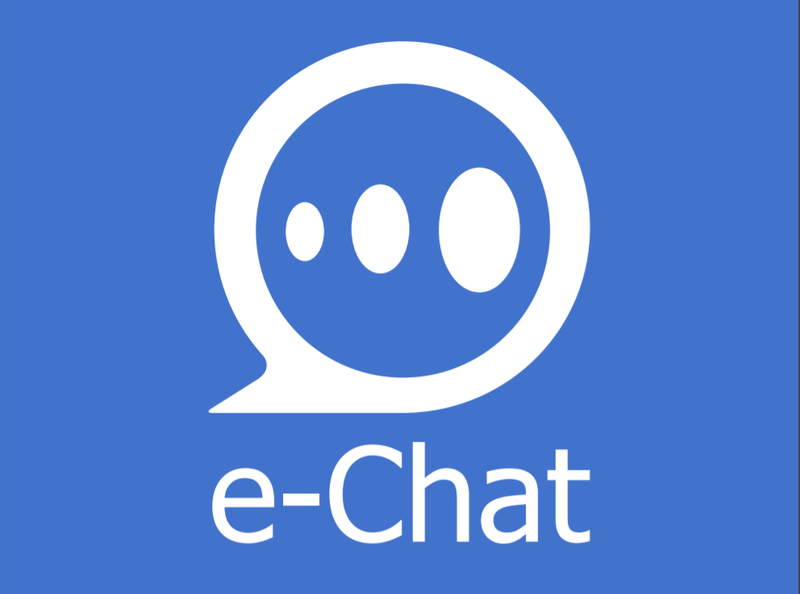 e-chat provides the best level of privacy and security for your data, while offering the most convenient functionality for your community to be satisfied with the services already provided. • SCREENS Swipe left or right to switch between chats, rooms, and channels. • Use bots. The e-Chat platform allows bots for various tasks. • Confidentiality. All data is encrypted with MTProto and distributed over a network of millions of computers around the world. • Security. The highest level of security and privacy is provided by proof-of-spacetime proof-of-replication and consensus, as well as with a strong codebase. • Monetize your social profile with paid chats and ads via integrated crypto - coin e-Chat. • You will get your income from likes. • Send a tip to a friend. Posts, jokes, or good comments can be praised with small tips. • by creating channels for your business. Promote your brand and then generate sales. Receive payment and send gift with ECHT. • internal storage and funds transfer (ECHT), and popular crypts like ETH, BTC, LTC, ZCH, etc. • Cash deposit in USD. • Find interesting channels and chats that use keywords. Then subscribe to them. • You should Select only high quality content based on channel rating. • then Restrict your conversation or channel users to access them. This amount is based on the fact that in 2017 the messengers market has 3.5 billion users. Moreover, we know that all popular instant messengers suffer considerably from one common problem - monetization. e-Chat creates a new integrated model, allowing for the use of all messenger functions for free, as well as to earn money and make purchases. Thus, we create the infrastructure to monetize the project efficiently. It includes areas for communication, streaming, blogging, financial transactions, data transmission, telephony, integration of mobile games, and applications.